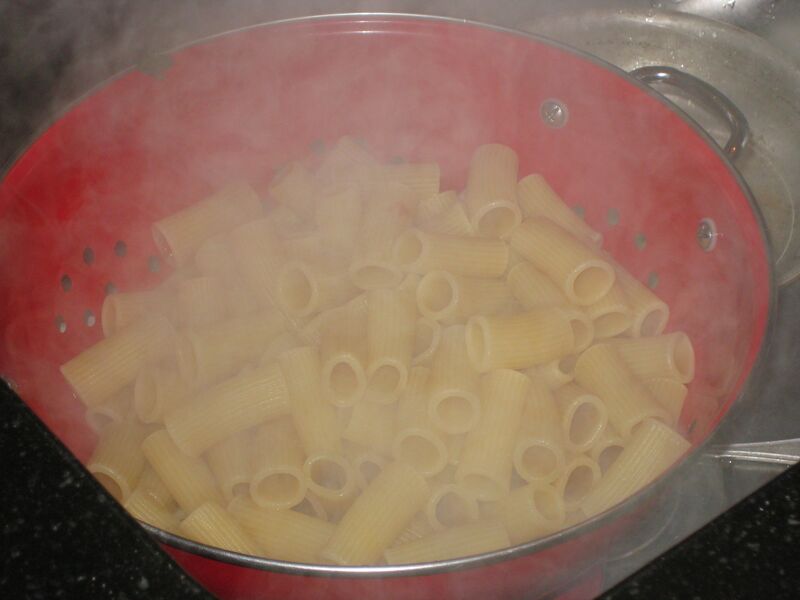 For me a huge bonus of cooking pasta in the winter is all the warming steam it produces in my little kitchen. I love putting up the big pot, letting it slowly come to a boil, throwing in salt when it does, and watching how the salt makes the water surface fizzle a bit, then flatten out, then quickly come back to a big boil. Then I tilt in an open box of rigatoni, which makes the boil go still, but I wait a few seconds and it rushes back again to a hard boil, and all is well. The windows steam up, my hair frizzes up. I’m enveloped in warmth. But the best is yet to come. The best is when I set up a large colander and pour the al dente pasta along with all the accompanying white steam and scorching water into it, momentarily blinding my view of anything but steam. This is the world’s best facial. Actually it probably isn’t, since no doubt all it does is force little bits of sticky starch into my pores, but it does feel soft on my face and neck. The pasta is still steaming gently as I pour it into a warmed serving bowl and drizzle it with fresh olive oil. Now there’s an amazing smell—warm wheat, sharp oil. On goes a steaming hot sauce, this time my winter concoction of sautéed mushrooms, tomatoes, anchovies, and toasted walnuts. Now my face is steaming with the essences of garlic, fresh thyme, and parsley. A grating of pecorino Toscano immediately melts on top, and off I go out of the greenhouse with my steaming bowl, and out to the dinner table. Happy winter cooking. 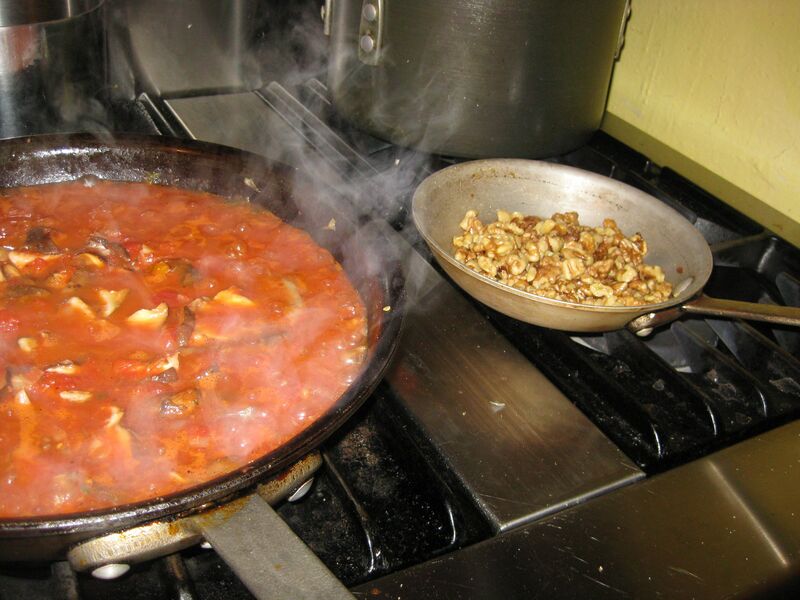 In a medium sauté pan, heat a tablespoon of olive oil over medium heat. Add the walnuts, seasoning them with salt, black pepper, and the sugar, and sauté quickly just until they turn golden and release a nice aroma, about 3 minutes. Set aside. 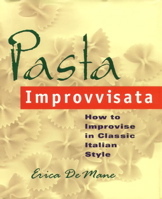 Set up a large pot of pasta cooking water and bring it to a boil. Add a generous amount of salt. In a large sauté pan, heat 2 tablespoons of olive oil over medium flame. Add the shallots, and sauté until soft. Add the garlic, the hot chili, the thyme, and the anchovies, and sauté for a minute to release their flavors. Add all the mushrooms, and sauté until they’re starting to soften, about 4 minutes or so. Now season them with salt, and add the dry vermouth, and let it bubble for a minute. Add the tomatoes with their juice, and cook, uncovered, at a lively bubble for 8 minutes. Add the walnuts to the sauce, and stir them in. Cook the rigatoni al dente, and then drain it, saving a little of the cooking water. 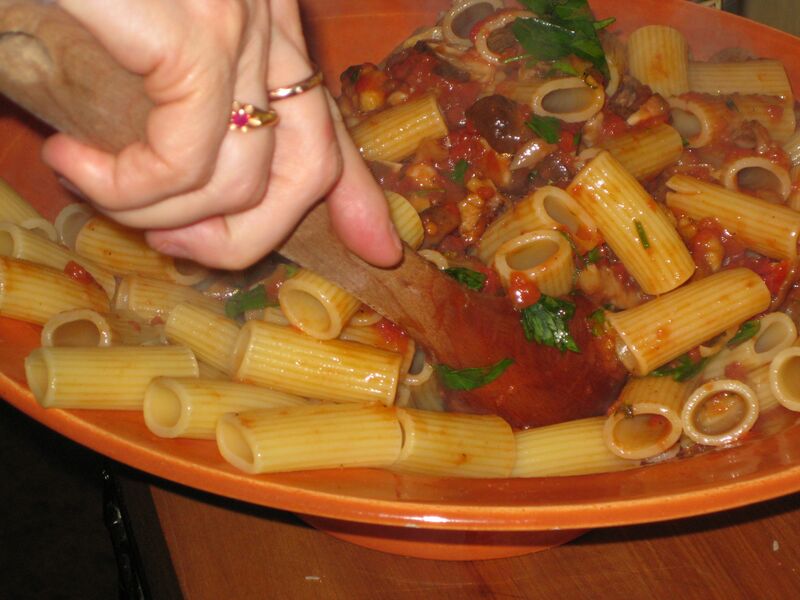 Add the rigatoni to a large serving bowl, and drizzle on a little fresh olive oil. Give it a toss. Pour on the mushroom sauce, add the parsley, and toss. Add a little of the pasta cooking water to loosen the sauce, if needed. 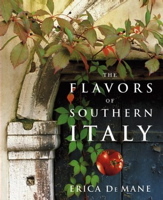 Serve with grated pecorino Toscano.